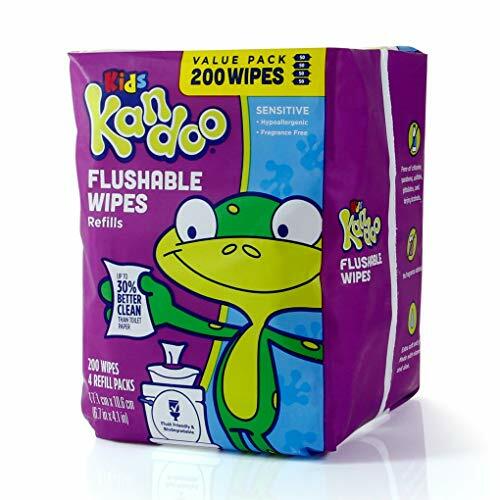 Kandoo wipes are easy to use for all ages to promote independent wiping and cleaning. Empowers kids to proudly say “I can do it myself”. Sensitive, gentle, hypoallergenic and do not contain drying alcohols, parabens or sulfates. Moistened with lotion to be extra soft. Made in the USA by Nehemiah Manufacturing. Nehemiah’s mission is to build brands, create jobs, and change lives. Please visit our website (nehemiahmfg.com) to learn more about our mission. Caution: Choking hazard. Keep reclosable seal out of reach of children below three years of age. 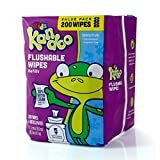 Flush only 1-2 wipes at a time. Use only in well-maintained toilets, drain lines, sewer lines and septic systems.